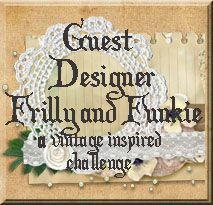 Here is my second entry into the Gecko Galz Papercrafting Challenge Group "Color Challenge - Using Cream and Gold". 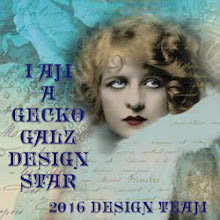 For this challenge I used a Gecko Galz image from our January Kit, the first of our monthly kits available in the Etsy store individually or by yearly subscription. From the same kit is the word banner which was part of a digital stamp that I cut apart. Everything else on the card was bits and pieces that were laying around my desk, and a couple of chipboard shapes by Gina's Designs (a key and a double heart). Don't forget to also stop by the Gecko Galz Blog to see what the design team has been up to, and to enter into the monthly blog challenge! This is beautiful! You have such vision. I love it! 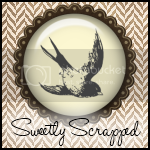 This is so pretty, shabby and girly. 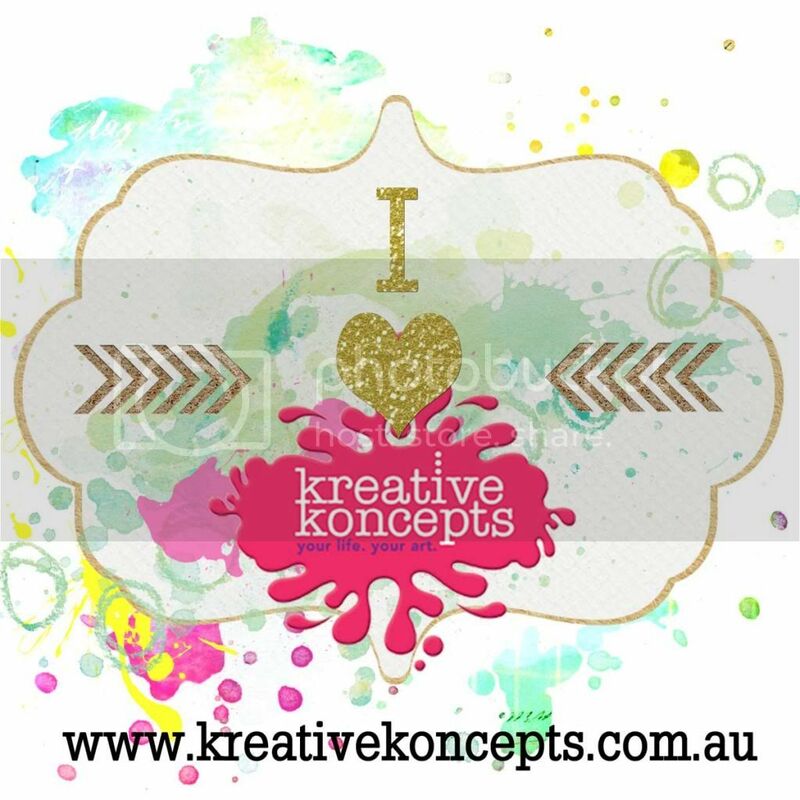 I love the soft colours and all the elements you have included. 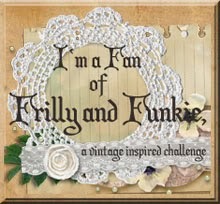 Thanks for joining us at Frilly and Funkie. Amazing amazing layering with vintage papers. Gorgeous card!! Beautiful Nancy! 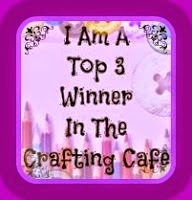 Thanks for playing in our Lot's of Layers Challenge at The Crafting Cafe this month! Good Luck & don't forget to join us next month too!